Are you detailed oriented, organized, patient and cool under pressure, we have a career for you! Superstore in Whitehorse, Yukon is looking for a Loss Prevention Representative. Working in a dynamic environment, you will partner with our store management team to ensure product loss is minimized and Loss Prevention awareness is on the minds of everyone. Your expertise in safety and investigation contributes to mitigating loss and increasing profitability. Support for you at Loblaw goes far beyond a paycheque. We will reimburse your annual security license costs and expenses incurred for travelling while on duty. We strongly believe in supporting your ongoing career development with in-house training programs (verbal de-escalation training, leadership training and communication courses, etc.) and tuition assistance. We offer a competitive pay rate, 10% Colleague Discount program, Health Benefits, a company matched Pension Plan, Employee Stock Purchase Program and Flexible work schedules. 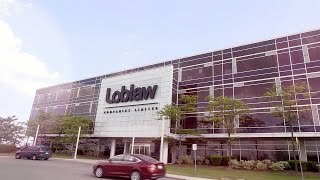 At Loblaw, we seek great people to continually strengthen our culture. We believe great people model our values, are authentic, build trust and make connections. If that sounds like you and you are open-minded, responsive to change, and are up to the challenges provided in a fast paced retail environment, apply today!